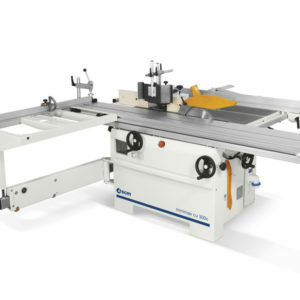 The system of surfacing worktable opening toward the inside of the machine guarantees an excellent ergonomics. 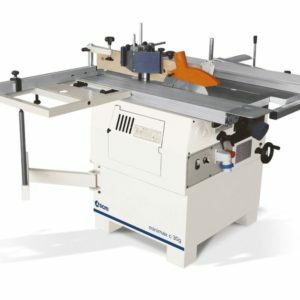 All woodworking combined machines are equipped with anodized-extruded guides with support and rapid locking and an effective feeding system for the planer. 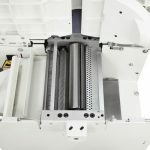 These features make these machines easy-to-use for any type of machining. 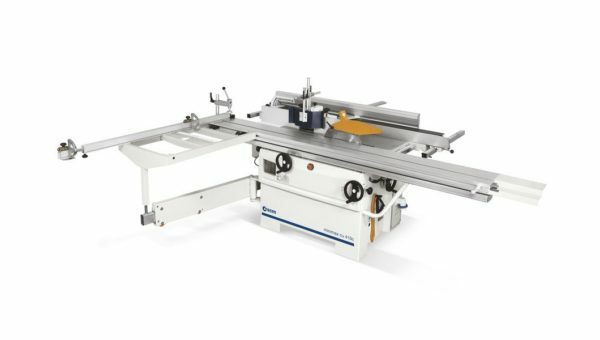 Maximum flexibility when using the cutters, with the spindle moulder unit equipped with various speeds. The machines are equipped with spindle moulder hood with micrometric adjustment, very useful for moulding working. 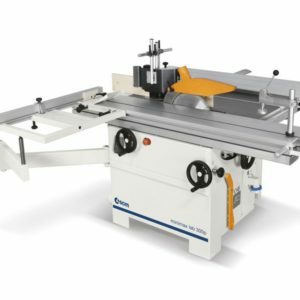 A tiltable saw unit, with sliding of the anodized aluminum carriage next to the blade for a better cutting precision are only some of the standard equipment of the minimax woodworking combined machines. The lifting and tilting of the unit with practical hand wheels guarantee an easy setting among different machining. Exceptional accessibility Thicknessing is more comfortable: during the changeover from surfacing to thicknessing the surfacing tables open towards the inside of the machine, with a 90° angle, and simultaneously. Work pieces with a maximum height of 230 mm can be machined to the thicknesser. The new design of the dust conveyor, protecting the cutter block, is specifically intended to further increase system safety and efficiency. Professional and very sturdy The unit has a cast iron structure. It is closed off by a cast iron “cup” to protect mechanical components inside the machine from sawdust, shavings and dirt. 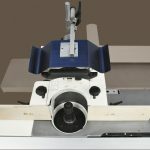 Precise and safe machining with the spindle moulder fence with micrometric adjustment complete with vertical and horizontal pressers. 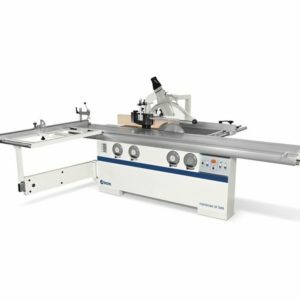 Optimal planing The planer unit in the standard version has a 72 mm diameter cutter block with 3 knives (the optional “Tersa” cutter block is available with quick tightening knives and automatic adjustment). 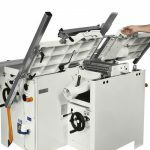 For an impeccable result, the pressure of the thicknesser feed rollers can be adjusted according to the type of wood machined. The thicknesser infeed roller has helical toothing to guarantee strong, constant work piece feed. In contrast, the sandblasted steel outfeed roller maintains the perfect post-machining finish. 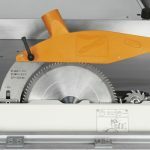 Performance without limits Incredible cutting of both very thick solid wood and panels, even those veneered, thanks to the new saw unit with a blade that has a maximum diameter of 315 mm that grants a 100 mm cutting height with the scoring blade installed.